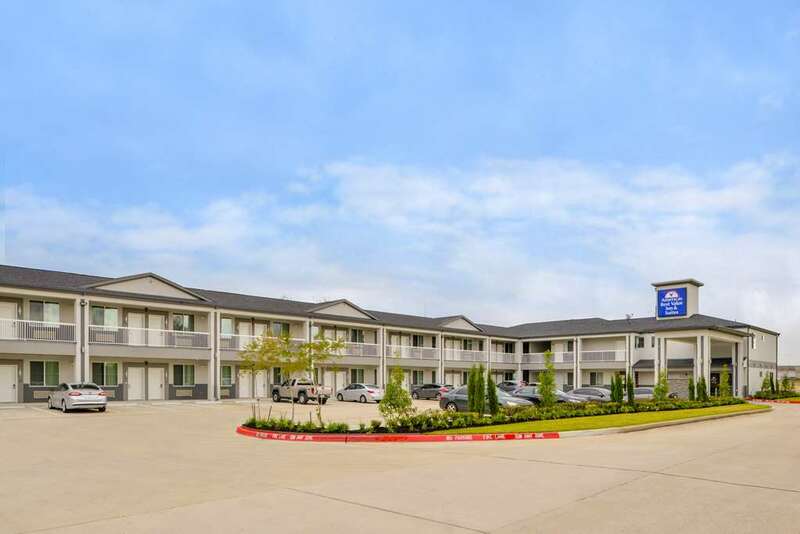 Discover Willowbrook/Houston- Texas and all it has to offer- whether staying for business- pleasure- or just passing through at the Americas Best Value Inn and Suites Houston/Willowbrook. Situated just northwest of Houston- our hotel is conveniently located on Tomball Parkway. We are near local attractions such as Sam Houston Race Park and the Willowbrook Mall. Our property features many great amenities such as a guest laundry facility- 24 hour front desk and lobby- and a vending machines for you to fill up your bags as you head out for the day. Sorry- no pets allowed. Guests are invited to start their day with complimentary daily continental breakfast and coffee in the lobby. Whether you are traveling for business or pleasure- stay connected with our free Wi-Fi available throughout the property. We offer copy and fax service for business travelers- please see the front desk for price details. Each of our guest rooms feature amenities such as free WiFi- microwave- either a mini-fridge or refrigerator- hairdryer- flat panel satellite TV- HBO- ESPN- iron- ironing board- clock radio- wake up service- and free local and long distance calls. Americas Best Value Inn and Suites Houston/Willowbrook is your best choice within the northwest region of the Houston metropolitan area- and is located in the heart of all the action whether it be shopping- dining- or play. We offer ideal accommodations and location whether you are in town for entertainment- business- or sightseeing. At Americas Best Value Inn and Suites Houston/Willowbrook- our goal is to provide our guests a great experience- not just a place to stay. At Americas Best Value Inn and Suites Houston/Willowbrook- We have Got You Covered from the time you hit the road until your head hits the pillow. Discover Willowbrook- Texas and all it has to offer- located on Tomball Parkway- just northwest of Houston- Texas. We are close to area attractions such as Lone Star College- University of Houston Downtown- Pairie View A and M University.